Shared Service for e-Governance | Business Article | MBA Skool-Study.Learn.Share. Current economic situation demands opportunities for gaining efficiencies in service delivery. Costs of control and maintenance have become the prime concern in public management. The emphasis is not only on the innovation in e-governance but also on cost efficient operations of servers and data centers (SDC: State Data centers). Budget and expertise are limited and it’s high time that duplication of efforts, especially in municipality level should be ceased to gain benefits of the plans. A single window delivery mechanism for all services is the basic aim of all policies,an anytime anywhere service model. The goal of this article is to explain the stepwise execution of shared service in organization and theoretical explanation of benefits of this execution. ICT resource sharing has its origin in computer science (sharing of DNS, proxy, time service, distributed file systems, shared database). In the last decade idea migrated to the consolidation of services such as human resource, payroll, and accounting, into shared services. Services generated from central organization and shared among local organization at the same horizontal level. access and use ICT resources currently out-of-reach. Governing Board is the lone actor in this stage. Here, all the suggestions are initiated and appreciated. The suggestions can be from an Advisory Board, a consortium of managers, staff etc. These suggestions for Shared service are received and prioritized by Governing Board. Here, we can also have a dedicated panel for identification of areas. (ITES related areas to be jotted down). The candidate areas for SSC (Shared Services Center) in an organization are Finance, HR, Supply chain, Customer and IT. The purpose of assessment is to foster consistent and complete evaluations of proposed shared service prior to approval. By careful analysis of subjects (covered below) a proposed Shared Service can be successfully implemented and produce intended results. Strategic Direction and Vision: The proposed shared service should be in line with the company’s vision. Here, purpose and support for the SSC is studied. Breadth and cost of Deployment: Two factors are discussed: Technology and Cost. Technology consideration includes proposed technology and need for re-engineering, Disaster Recovery and Continuity of Operations requirements and lastly any maintenance windows by provider that will impact consumer agencies. Cost Analysis includes: Cost model, Pricing Models, Funding sources and most importantly Total Return on Investment. Organizational and Staff impact and Change Management Strategy: Change Management strategy include describing the changes and how they will be successfully managed (Organizational, personal, technical, financial, process, etc.) and describing the change control process and changes to address. Organizational and staff impact includes: Changes in current job mix, cross culture problems, support for SSC workforce (Training, job enrichment etc. ), required skill-set and other SSC related classifications. Business Case: Here, cost benefit analysis is done. Steps include analysis of targeted savings, service quality impact and improvements, business opportunities provided, incentives to consumer and service provider and description how the benefits will be realized by consumers and provider. Implementation Roadmap: Complete brief of transition approach, teams, costs, technology, facilities, other resources, schedule, risks/mitigations and barriers and plans to overcome. The build and deploy phase moves the shared services program beyond theory so that the shared services center organization, processes and technology take physical form. Deliverables from this phase bring the shared services vision to life, creating the processes, systems and facility outlined and approved in the design phase. 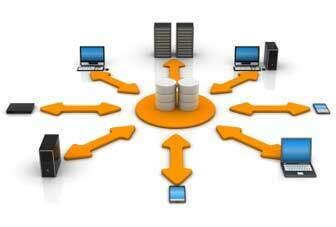 Organizations prepare the shared services center and the operating units to receive the new processes and systems. The final deliverable of this phase is a successfully transitioned shared services operation and workforce. Build phase consist of steps: Develop Service Management Processes, Manage Budget and Schedule, Performance support and training materials, Build Facility, Recruit workforce, Create Service level agreements, Define KPIs, Communication Plan, Build organization and conduct deployment plan. Deploy phase consist of steps: Execute Deployment Plan, Conduct Training and work Shadowing, Testing of Shared Service Center: Pilot > Group1 > Group 2 and Execute workforce transition plan. Global Governance Committees: Multiple 3rd Party relationships, Dedicated 3rd party Relationship Managers, Standard Performance Management (SLAs), Global Pricing Strategies and contracts. Experienced and expert Leadership. Other management selection should be effective in achieving targeted benefits and facilitate successful transition. Project management support must be available to guide successful implementation. Startup funding is available as approved in each shared service assessment. This enables development by the provider and transition to the new service for consumers. Live example and effect can be from Bangalore One. (Project launched in 2005). This article has been authored by Saket Kumar Gupta from IIM Indore.